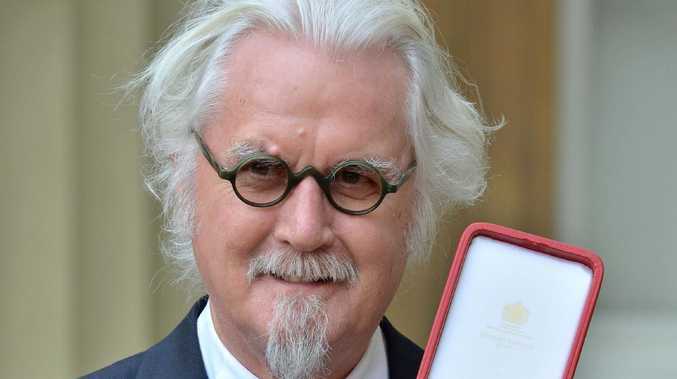 The Scottish comedian will appear in the second part of his BBC documentary series Made In Scotland on UK television this Friday and reflects that he is now "near the end" of his life, The Sun reports. In the documentary, he says: "I have got Parkinson's and I am at the wrong end of the telescope of life. I am at the point where the yesteryears mean more than the yesterdays. "Because it is back there in my childhood and youth when I go to all those things that made me that live keenest in my memory now." Later in the documentary, filmed last year, he says: "My life, it's slipping away and I can feel it and I should. I'm 75, I'm near the end. I'm a damn sight nearer the end than I am the beginning. But it doesn't frighten me, it's an adventure and it is quite interesting to see myself slipping away." He continues: "As bits slip off and leave me, talents leave and attributes leave. I don't have the balance I used to have, I don't have the energy I used to have. I can't hear the way I used to hear, I can't see as good as I used to. "I can't remember the way I used to remember. And they all came one at a time and they just slipped away, thank you. "I can't work my left hand on the banjo. It is as if I am being prepared for something. Some other adventure, which is over the hill. I have got all this stuff to lose first and then I will be the shadowy side of the hill, doing the next episode in the spirit world." Later he is shown sitting on a rock talking to camera when he begins shaking uncontrollably. "The Parkinson's is strange because it is not going to go away. All my life I have got sick and I have got the flu and pneumonia various things and they all went away. This isn't going anywhere. It is going to get worse. 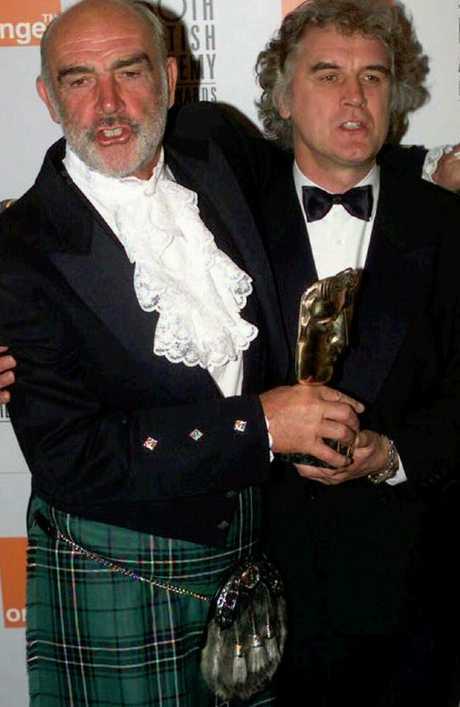 Fellow Scot Sean Connery with Billy Connolly at the 1996 BAFTA awards where Connery was presented with a lifetime achievement award. "It takes a certain calm to deal with, and I sometimes don't have it. I sometimes get angry with it, but that doesn't last long, I just collapse in laughter. "The good things are there, the love we have for people is still there, and with a bit of luck the love they have for you is still there. 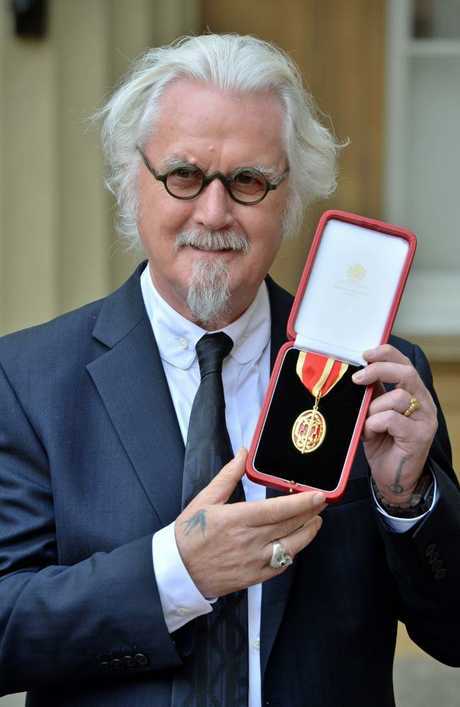 "And I am very lucky in as much as I made a bit of a mark and you think, 'Well I must have done something right.' And that keeps you company when you are older, is the fact that when you were creative, you created well, it accompanies you, it is a great companion. "You can volunteer to take life seriously but it is gonna get you, they are going to win over you, it is harsh, but you can either break down and complain about how miserable your life is or have a go at it and survive. I think that is the basis of it all." But trying to remain positive, he adds: "There is still time to go yet, there are still places to go, new friends to make, maybe new songs to write and sing and jokes to tell."